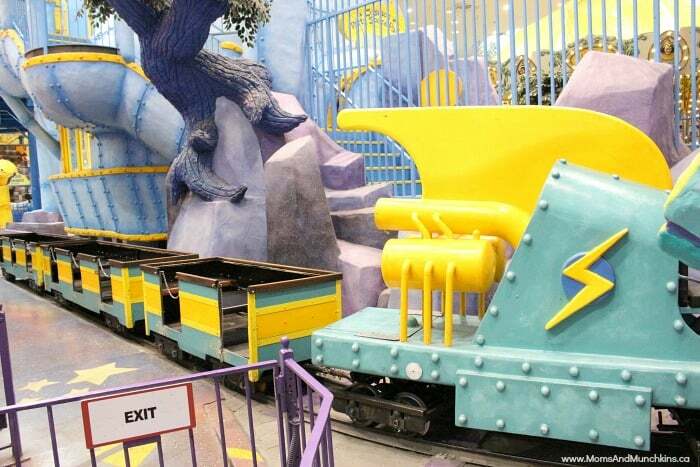 Have you been to West Edmonton Mall yet? If not, you’re going to want to add it to your family travel must-see list right now! 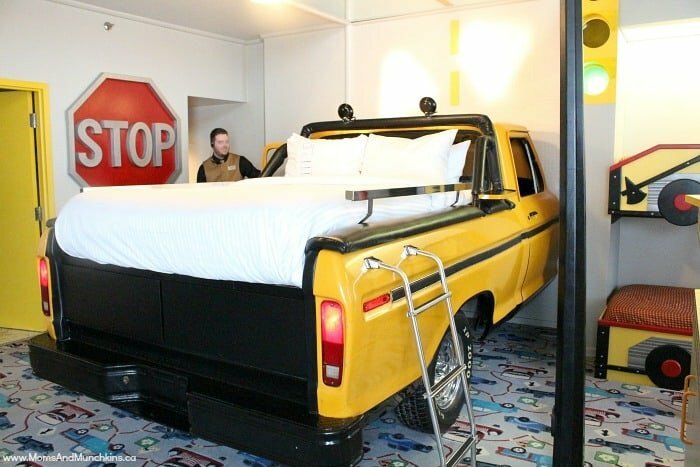 If you have been, I’m sure you’re already planning your next trip. 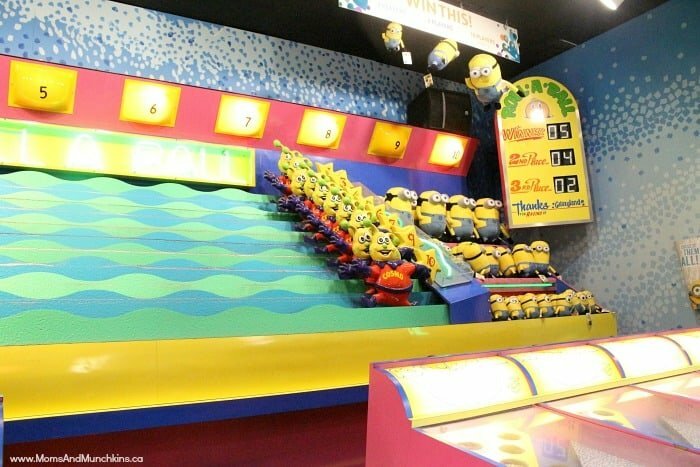 I’ve shown you the amazing World Waterpark, the Igloo Room in Fantasyland Hotel and the luxury theme rooms in Fantasyland Hotel and now I’m going to give you a sneak peek at the fun indoor amusement park Galaxyland! 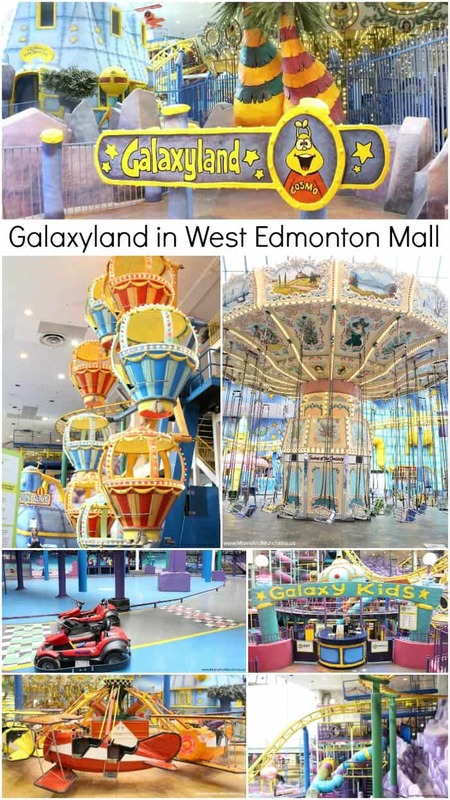 West Edmonton Mall’s Galaxyland is the world’s largest indoor amusement park and it has something for all ages. 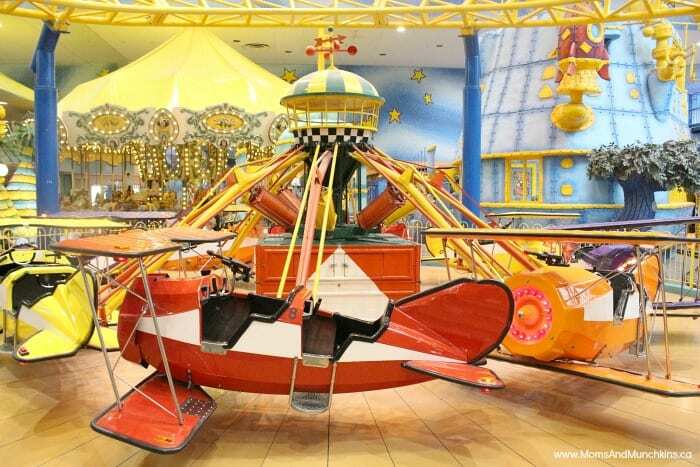 With over 24 rides and play areas, there really is something for everyone here. 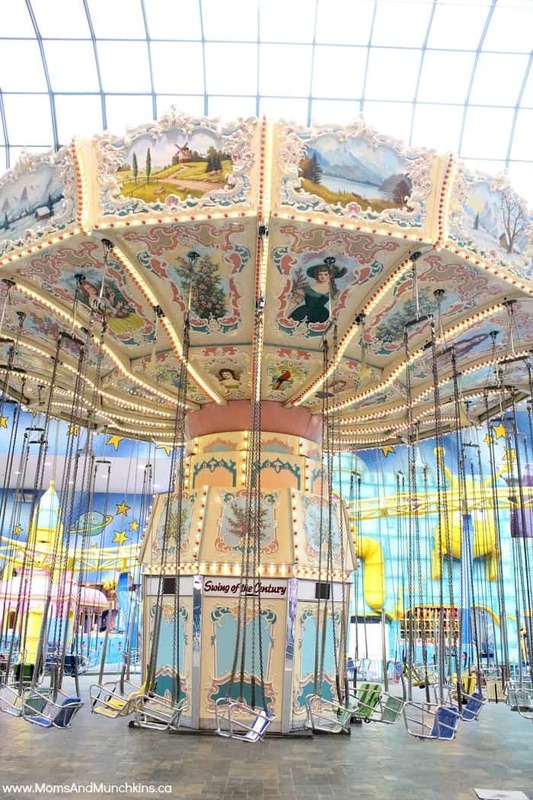 My family and I visited the mall a few times when I was a kid & it’s nice to see some of the same rides (updated & renovated, of course) from when I was a kid. 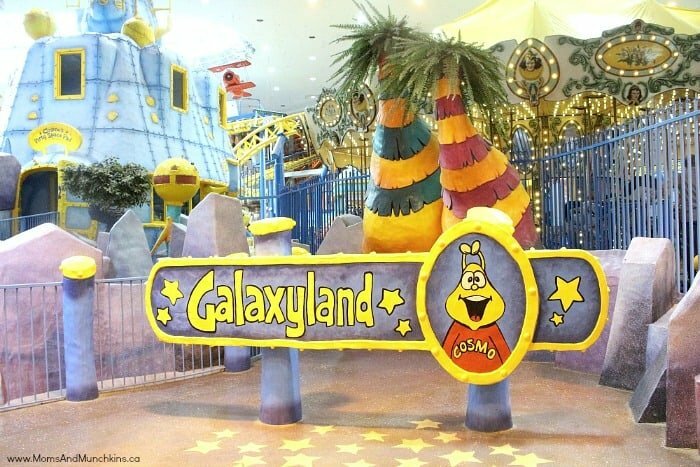 Going through Galaxyland with my son, I could remember my own memories as a child like the time I lost my flip flop on the swings or riding through the park on the train and waving at my parents and grandparents as we rode past. 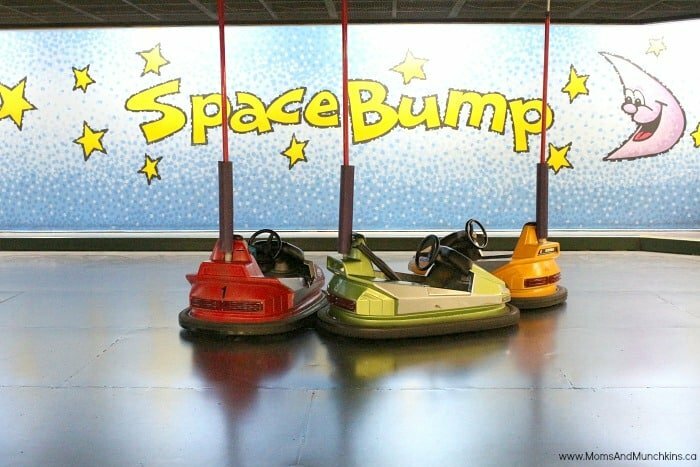 My son is 5 years old so we stuck to the rides that were appropriate for his age. 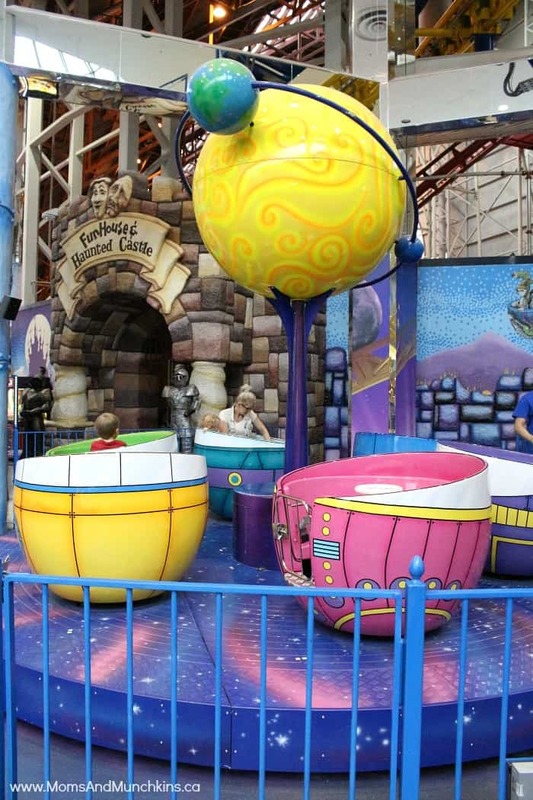 Each ride has a guide that tells you how tall you have to be for the ride but I’d still recommend watching the ride once through first so you can decide if your child would enjoy it or not. 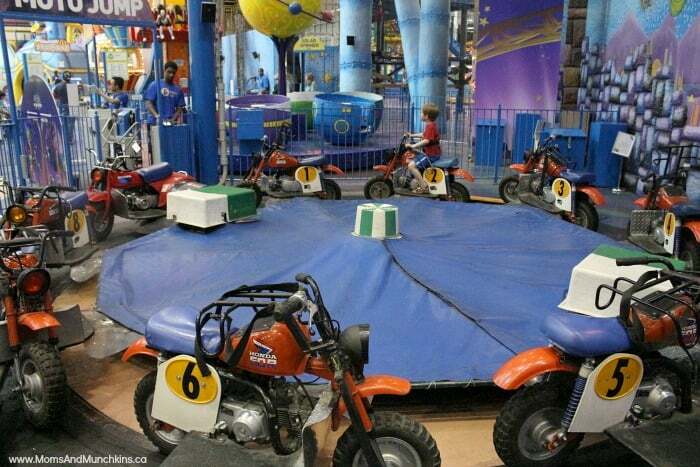 My son loved everything that he tried and he was so excited that there were several he could go on without me. 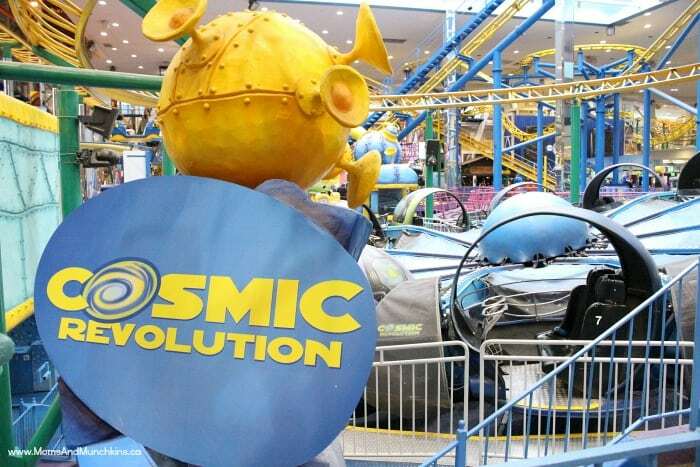 Here is a sneak peek of some of the rides you’ll find in Galaxyland. 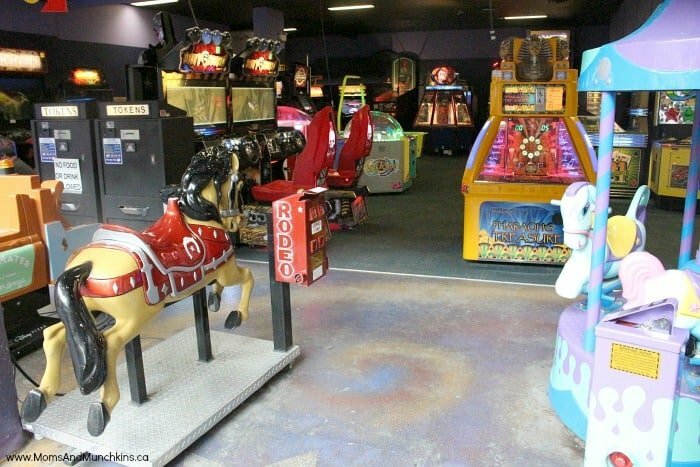 There are several others not pictured here like rollercoasters, a haunted house and more! 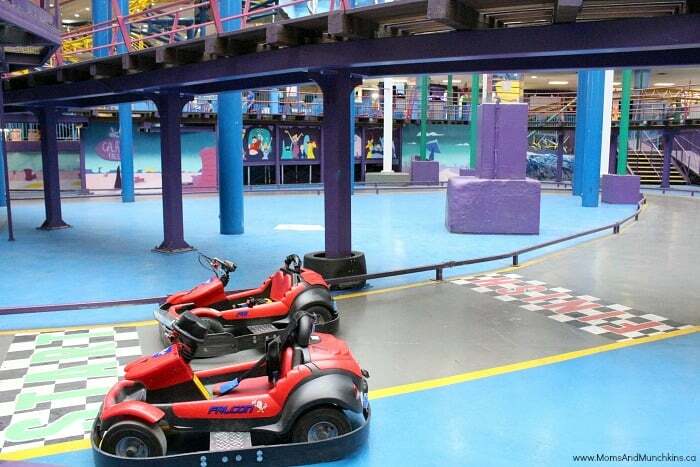 Before we get to the photos, here’s a sneak peek at some of the rides in action! 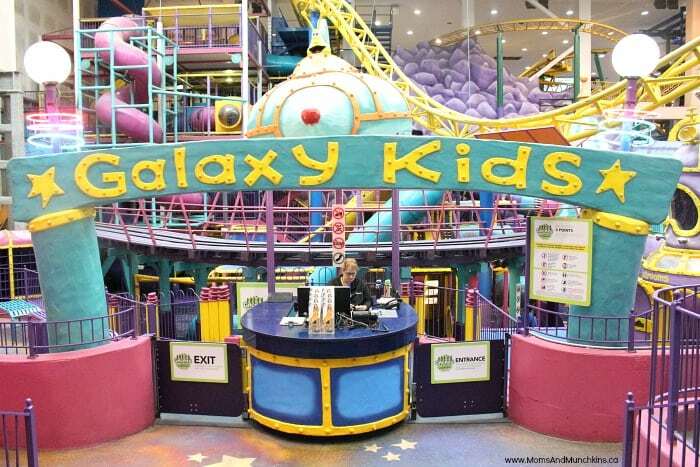 For the younger kids, be sure to check out Galaxy Kids. 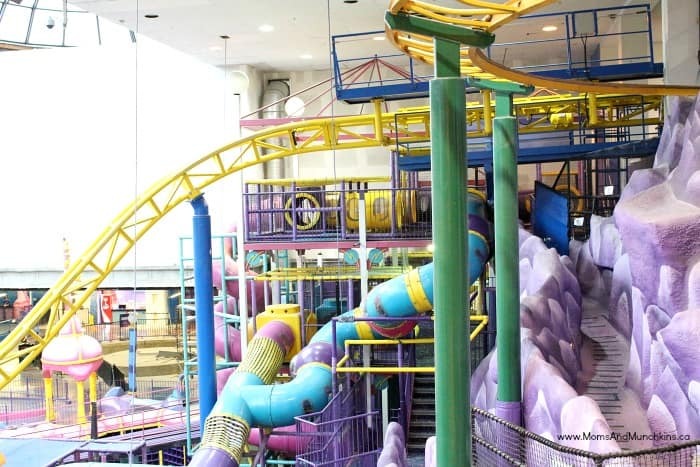 It’s a large indoor play structure with climbing areas, tunnels, slides, ball pits, trampoline bouncers and more. Be sure to bring socks with you as both adults and kids have to wear socks in this area. 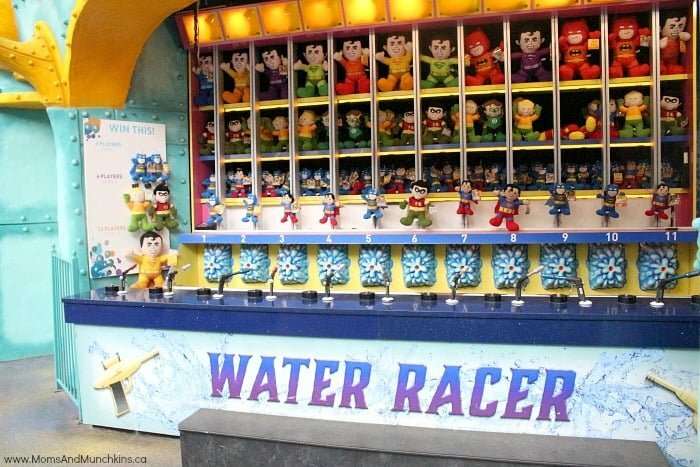 In addition to all the fun rides & play structures, there is also an arcade and several carnival style games. 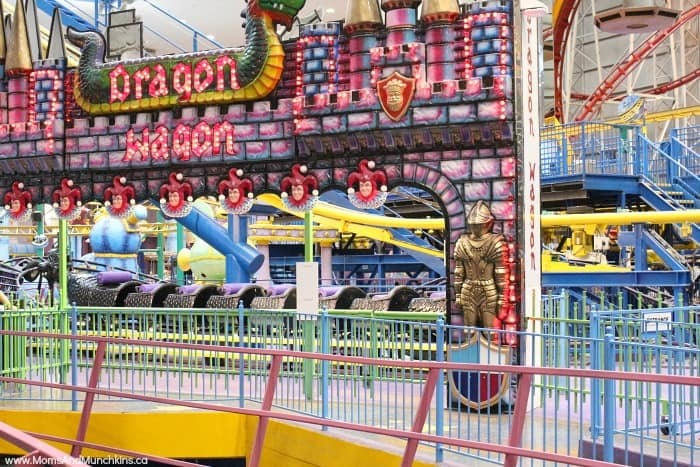 For added convenience and a totally unique experience, check out the Fantasyland Hotel for your West Edmonton Mall family vacation!